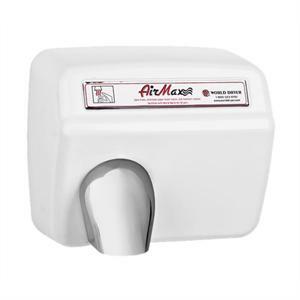 Restroom Direct is your place to find quality restroom fixtures and one of the largest selections of in-stock Hand Dryers available anywhere, like the high speed Excel Dryer Xlerator, the Dyson Airblade the American Dryer eXtreme Air and the new World Dryer VERDEdri. 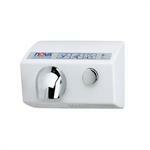 You can find advice on hand dryers and other restroom accessories on the left side of this page. 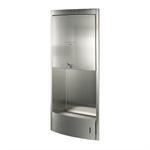 Also look for low prices on quality touch-free soap dispensers, swim suit water extractors and Elkay water fountains. 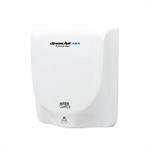 Dyson Airblade AB14 dB hand dryer. 50% Quieter! 120V or 208-240V versions. Gray or White ABS Cover, HEPA filter. 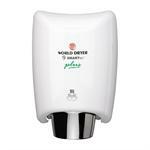 & premier high speed hand dryer. NEW! 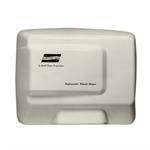 Updated high speed, narrow profile ADA compliant hand dryer. 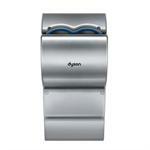 The NEW, quieter, redesigned Dyson Airblade V (HU02). 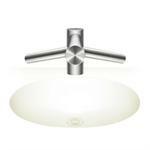 Available in Nickel or White and Low or High Voltage. 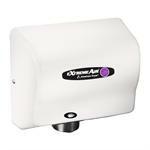 High speed ExtremeAir GXT series hand dryers from American Dryer. Now with universal voltage and adjustable settings. 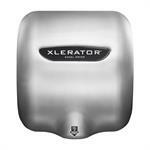 High speed, compact hand dryer. 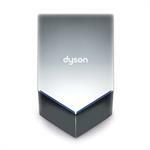 Check out the Dyson Airblade Tap! Available in Short, Tall, or Wall Mount versions. Low or high voltage. low energy, adjustable hand dryer. 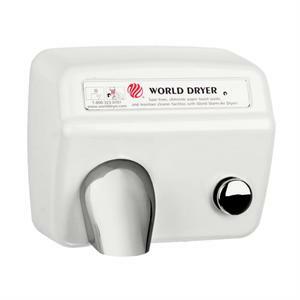 World Dryer AirForce high speed hand dryer. A top pick for high speed, low energy consumption, design and cost. The NEW slim profile TerraDry! ADA compliant, beautiful new styling. Polished Chrome cover. 110-120V. 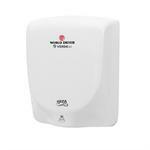 World Dryer SLIMdri hand dryer, Model L-974, L-970. 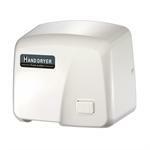 Compact, ADA compliant hand dryers. 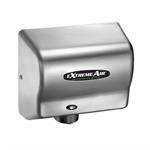 The ThinAir® hand dryer by Excel Dryer is a narrow profile, surface mount (ADA compliant) high speed hand dryer. Stainless Steel or White ABS cover. 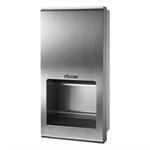 The Toto Clean Dry High Speed Hand Dryer with a recessed, ADA compliant mount in stainless steel. Hand Dryer. Fast and quiet. 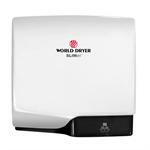 World Dryer Model A hand dryer is the standard in the industry. 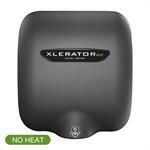 The most durable hand dryer especially in cast iron. Select more info to see options - cover types, automatic vs push button, electrical specs, etc. Models A5, XA5, RA5, XRA5, DA5, DXA5. High speed with high durability. Built tough like the Model A, but almost twice as fast. Our #1 choice for high volume, vandal-prone applications to save on energy, move more people and keep them happy with fast dry. Greenspec listed. Vandal resistant. White, Chrome, & Stainless Covers. 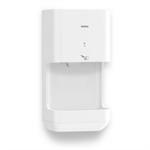 Nova 1 Hand Dryers are excellent lightweight dryers with some very nice features. They are ADA compliant without having to recess, they are universal voltage from 115 to 240 volts, they come with a UL-approved plug-in version. Great Price. 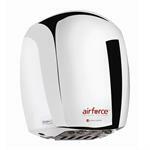 Narrow profile hand dryer with dual blowers for higher output. Universal voltage allows you to use the same unit for 120 - 240 volts. Stainless steel optional cover. 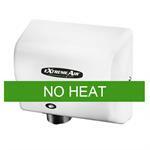 Nova 4 dryers are known throughout the world as reliable, tough dryers. Induction (brushless) motors are nice and quiet! Automatic with cast iron covers are good and tough. 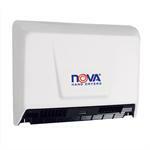 Nova 5 dryers are durable with quiet Induction (brushless) motors. 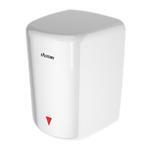 Options include push button or automatic, 120 or 208/240 volts. 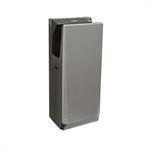 The Electric-Aire LE is a nice low cost dryer with an aluminum cover with white powder coating. It is VERY quiet. Perfect for office settings. This is a reliable dryer, but does not have the speed or durability as others. 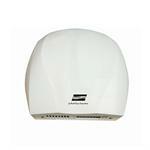 Electric-Aire LN-974 hand dryer. White. Aluminum cover. 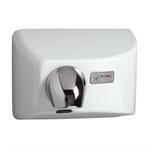 Reliable, modern, automatic low cost hand dryer. 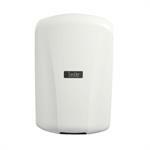 FastDry HK-1800PA and HK-1800PS hand dryers. 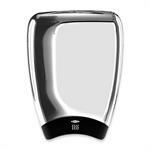 Lightweight, low-cost, very quiet hand dryers with ABS plastic cover. Thank you for shopping with us today! At RestroomDirect we are experts in hand dryers and we pride ourselves in the high level of customer service that we provide. 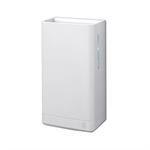 Please come back again to see our full selection of hand dryers, automatic soap dispensers, baby changing stations, swimsuit water extractors, hands-free door openers, drinking fountains and more. Look here for World Dryer, Excel Xlerator, Dyson, Fast Dry, Bobrick, Suitmate, Elkay and more!